On this page you find working materials that help to get more from the career resources. The workbook provides a series of questions for each career resource that helps you to reflect on the meaning and implications of the test results. We have developed a workbook that helps you to think more deeply about your career resources and the results of the Career Resources Questionnaire. 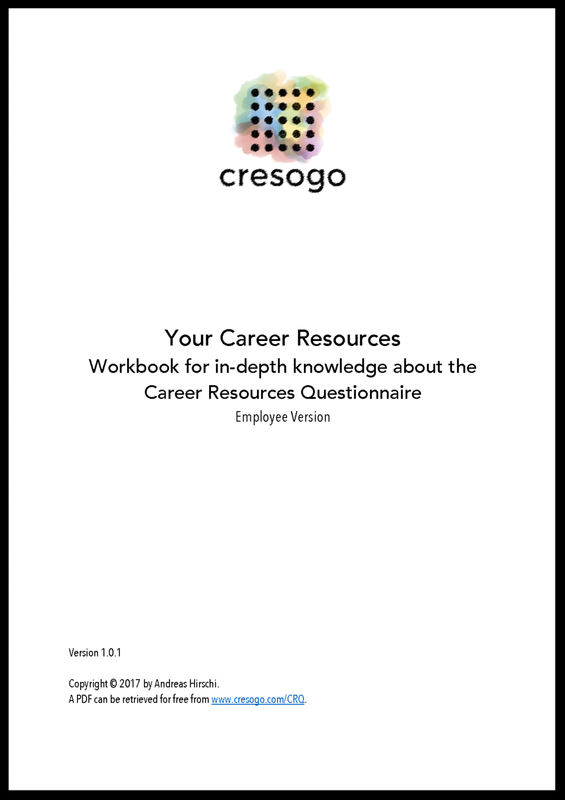 The workbook can be downloaded for free and is the perfect companion to the Career Resources Questionnaire. This guide helps to qualitatively assess the career resources in an interview. This interview can be conducted by a career development professional to facilitate a more in-depth assessment and discussion of the results of the Career Resources Questionnaire of clients. We have developed a guide for career development professionals on how to use the Career Resources Questionnaire with their clients. We explain how the questionnaire can be used as a client readiness assessment, as a basis to plan a career intervention, and as a measure of career intervention effectiveness. The Career Resources Questionnaire is based on international research on career development, employability, and career success. The questionnaire was developed and evaluated in a multi-step procedure according to best-practice scientific criteria. The report documents the scientific development and quality of the questionnaire. We are working on additional materials. Sign up with your email address to receive news and updates about the Career Resources Questionnaire. We respect your privacy. No ads. No distribution to third parties.